They made the announcement in response to new “workaround tax credits” enacted in New York and elsewhere that help taxpayers bypass the $10,000 cap on federal deductions for state and local tax (SALT) payments enacted late last year. 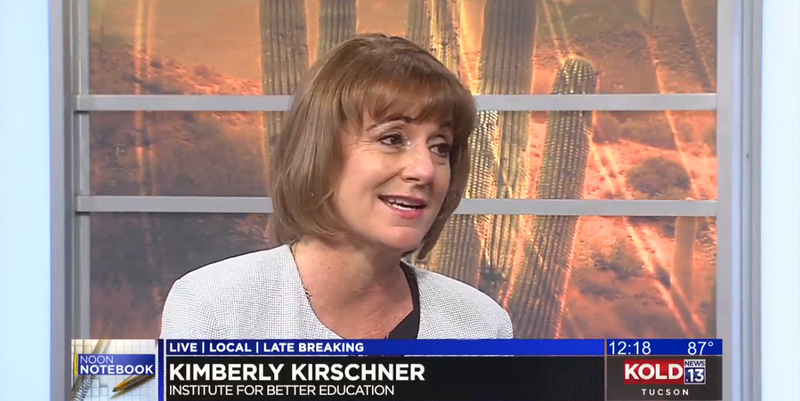 But a review of tax advice being offered around the country reveals that several existing state tax credits for donations to private K-12 school voucher funds are being exploited in much the same way: to generate questionable charitable deductions and avoid the federal SALT deduction cap. The pervasiveness of this advice strongly suggests that the IRS and Treasury must address these private school credits, and other high-percentage charitable tax credits, in their upcoming regulations. ITEP explained the mechanics of the new workaround credits and similar, preexisting charitable tax credits in a recent report. It concluded that overhauling the federal income tax treatment of new state tax credits, but not preexisting credits, would be unfair, arbitrary, and ineffective. As catalogued below, tax accountants, financial advisors, private schools, and other organizations are advertising tax credits for donating to private K-12 voucher funds as ways to “sidestep,” “bypass,” “circumvent,” or “mitigate” the impact of the federal SALT deduction cap. 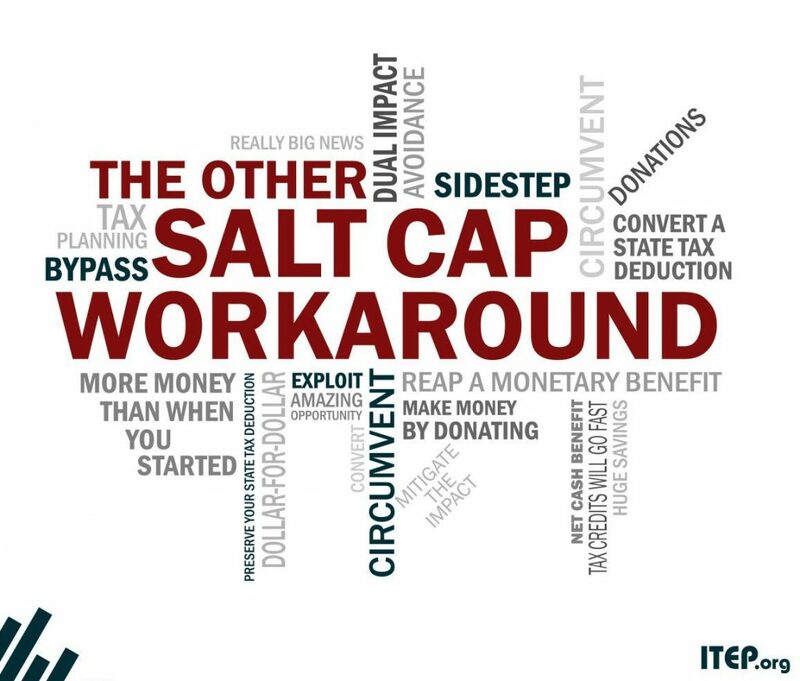 In Alabama, Arizona, Georgia, Louisiana, and Pennsylvania, these tax credits are being publicly marketed to potential donors as ways to “convert” or “exchange” capped SALT deductions for uncapped and more lucrative charitable deductions. Typically, so-called “donors” who act on this advice will be financially better off after donating than before. In other words, these tax credits are being used by taxpayers to generate federal charitable deductions for behavior that meets virtually nobody’s definition of genuine charity. The following list identifies instances in which tax accountants and others have publicly described private school voucher tax credits as SALT cap workarounds or otherwise profitable tax shelters. It also summarizes similar tax advice related to a hospital donation credit in Georgia. This list focuses on the boldest and most specific examples and omits numerous instances in which firms simply noted that donations can, or may, qualify for both a state tax credit and a federal charitable deduction. It is important to note that the tax shelter being advertised in these states is more broadly available than the following list might suggest. ITEP research revealed that school voucher tax credits in Kansas, Montana, New Hampshire, Oklahoma, Rhode Island, South Carolina, and Virginia can also be exploited as profitable tax shelters. It is all but guaranteed that tax accountants and financial advisors in these states are offering similar advice to their clients behind closed doors. Click on a state’s name to find a catalogue of publicly available tax advice related to SALT cap avoidance. 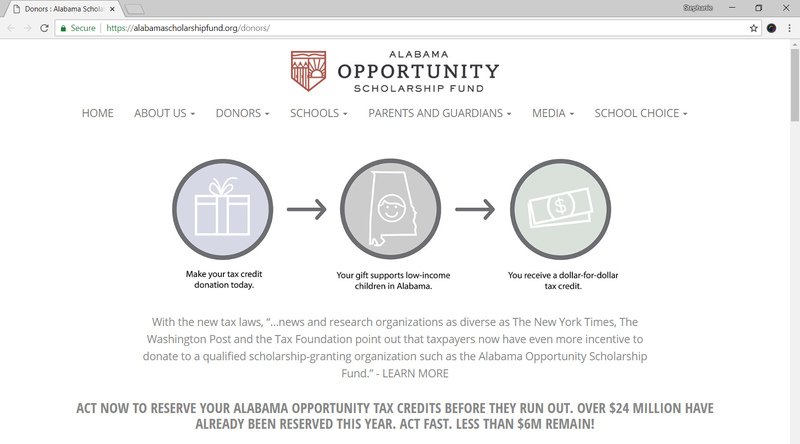 The Alabama Opportunity Scholarship Fund, one of the state’s largest organizations accepting tax credit voucher donations, explains on its “Donors” page that “with the new tax laws … taxpayers now have even more incentive to donate.” It also hosted a webinar with various tax professionals who walked through an example scenario in which a taxpayer could receive more in state and federal tax benefits than they ever donated in the first place. One of those professionals later explained to a journalist in Alabama that the “the new limitations on the SALT deduction were certainly a driving force” behind the record-breaking pace of credit claims in the state. An accounting firm with offices in Alabama (Carr Riggs & Ingram) describes the state’s voucher tax credit as an “opportunity to convert a state tax deduction (now limited to $10,000) into a charitable deduction (which is not limited).” It also walks through a detailed example in which a high-income taxpayer receives $27,400 in state and federal tax cuts in return for donating just $20,000. An Alabama accounting firm (Pearce, Bevill, Leesburg, Moore) is advertising the credit as “one way to mitigate the impact of this adverse tax change,” meaning the federal SALT cap. An accounting firm in Georgia (Windham Brannon) states that “absent any future action taken by the IRS or Congress, donors have the opportunity to exchange nondeductible state income tax payments for deductible charitable contributions on their federal tax returns” using either the state’s private school voucher credit or a separate credit related to donations to rural hospitals. In a separate article, the firm explains that donating under either of those programs allows taxpayer to “retain some, or all of the tax benefits previously received from the remittance of these taxes.” It goes on to explain that by donating “they may be able to minimize the impact of the state and local tax deduction limitations on their federal tax return” and that “taxpayers who continue to itemize and whose state and local tax deduction is limited, will retain an important deduction and reap a monetary benefit by contributing to either program.” The firm began offering this advice in late-2017, before the federal bill was even signed into law. In reference to the $10,000 SALT cap, Georgia GOAL Scholarship Program, Inc. explains that “contributing to GOAL will make this less of a ‘sting’ for Georgia taxpayers.” Its “bottom line” conclusion, which it underlines on its website, is that “by contributing to GOAL, taxpayers whose SALT deduction is limited will hang onto at least a portion of the deduction they would otherwise be losing.” It describes the tax shelter as a way to “reap a monetary benefit by contributing to GOAL.” The organization also worked with an accounting firm in Atlanta (Bennett Thrasher) to create several detailed illustrations of how the tax shelter works, including one in which a high-income business owner collects a 37% profit (or “net cash benefit” of $3,700) above and beyond their initial contribution of $10,000. Georgia GOAL is the largest scholarship organization in Georgia, accepting nearly $17 million in donations in 2017. The Georgia HEART Hospital Program explains that “by contributing to a Georgia HEART RHO, taxpayers can receive a 100% Georgia income tax CREDIT and 100% federal itemized deduction. In the case of Georgia taxpayers who are facing the $10,000 SALT deduction limit, contributing to a rural hospital in this manner can result in significant tax savings.” The organization also worked with an accounting firm in Atlanta (Bennett Thrasher) to create several detailed illustrations of how the tax shelter works, including one in which a high-income taxpayer collects a 37% profit (or “net cash benefit” of $15,502) above and beyond their initial contribution of $41,896.